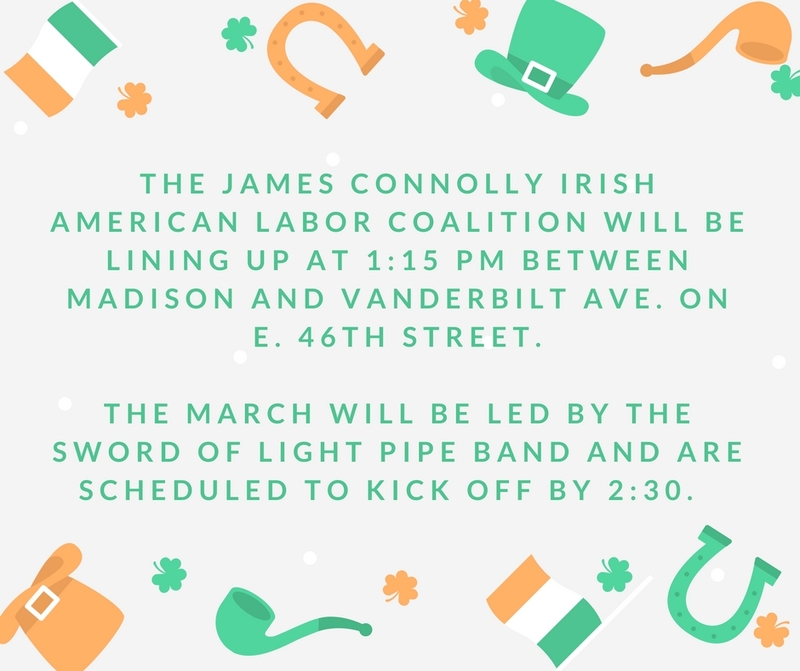 March with the JCIALC and NY labor leaders in tomorrow's St. Patrick's Day Parade. Make sure to wear your Local 1 apparel!! Breakfast will be served at Bobby Van’s on 54th St., 9am - 12pm.